Home/Bail FAQ’s/Signing a Bail Bond Contract – What are Your Responsibilities? Without seeing it coming, many people are put into the position of helping a friend, family member or loved one who has been arrested. With all the anxiety and “quick timing” wrapped around the bail process, many don’t take the time to really process exactly what the responsibilities are when signing for a bail bond. Bail bonds, also called “surety bonds” are used to have a defendant released from jail. Kind of like an insurance policy, the bail bond is submitted to the jail and the “promise to make good” on that bond is put into play. That means, the defendant will go to court as promised. What’s great for the consumer, is the bail bond company will only charge 10% of the total bail amount, which makes it financially easier for the family member or friend to bail someone out. As an example, if the bail is set at $20,000, the consumer would only have to pay $2,000 for the defendant’s release. It’s important to remember that the bail premium is never refundable in any condition, as the premium is earned by the bail company for service rendered upon the release of the defendant. Even if the case is dismissed or the charges are dropped, the bail premium paid to the agency is always non-refundable. The first and foremost responsibility is that you (the indemnitor), along with the help of the bail agency, will make sure the defendant returns to every one of their court dates without fail. Should the defendant fail to return to court, you will also take on the responsibility of paying additional fees, if the bail company has to hire a fugitive recovery agent to bring the defendant back to court. Finally, if the defendant cannot be located, you (the indemnitor) will be made solely responsible to pay for the entire amount of the bail originally set by the court. If collateral was taken (such as real estate lien or pink slip) at the time of signing the contract, that will be used to pay towards the bond and will not be returned. Bail companies realize that cars break down, children get ill, and some may miss a court date because of extenuating circumstances. However, most indemnitors’ and defendants don’t realize that these issues can be easily taken care of by the bail company with just a simple phone call to them as soon as the defendant misses a court date. Q. I signed for someone’s bail bond, now I don’t think they’ll show up for court. Can I get off of the bond? A: Once you become “the signer” for someone’s bond, you technically become their “indemnitor” and become fully responsible for the face amount of the bail bond while the bond remains active. Period. The bail bondsman trusts the confidence of the signer at the time they take the responsibility for their friend or loved one. The signer knows the defendant personally, the bail bondsman does not. 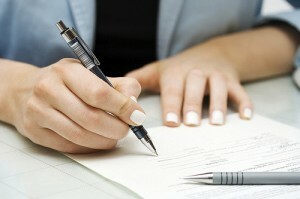 Therefore, the signer cannot change their feelings or mind about signing for the defendant from one day to the next. The signer must be absolutely confident at the time they sign for the bond, otherwise, they should never take the personal and financial risk, as there is no going back. Once the defendant fulfills all of their court mandated responsibilities, the bond will be exonerated and the signer and bail bondsman will no longer hold any further responsibilities. Q: If the defendant is released, the D.A. doesn’t press charges, the case is dropped, etc., do I still need to finish paying for the bond? In summary, promises are easily made in the moment of crisis and pressure. It’s great to help someone in times of need, but is it the wise person who makes sure they know exactly what they are getting into, prior to making a hard line commitment. Do you trust the the person you are bailing out? Will they take on the responsibility of getting themselves back to court without your prompting them? Do they live out of state or have family out of state or out of the country? Are they friends or family members? What is their work or school history? Have they jumped from job to job or home to home over the years? Take all things into consideration and really think about their background and history. And always make sure to read the terms and conditions of the bail bond contract before you sign. It’s just smart business. And know, if you ever have any questions, we are always here to help you. Call a knowledgeable, California licensed bail agent at toll-free, 877-422-4591.